Last June, Smart Engineering completed the development of the Shotcrete Sustainability Index. 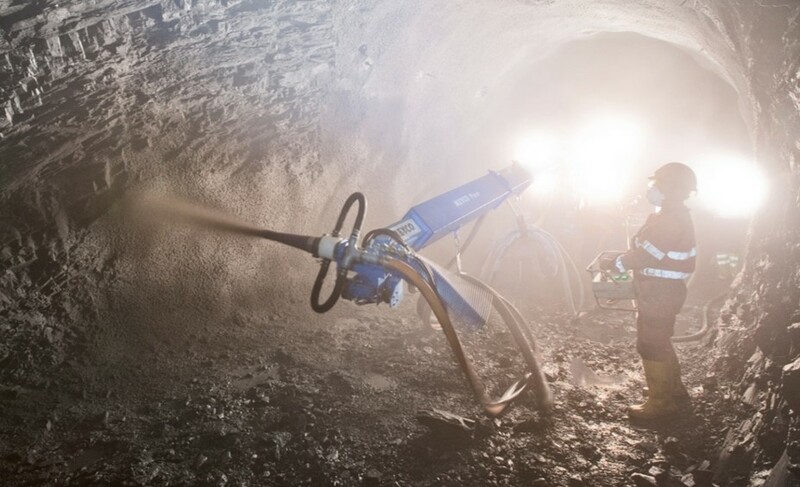 The index developed allows to globally assess the sustainability of shotcrete, taking into account economic, environmental and social criteria, depending on the type of setting accelerator used. Currently in Spain predominates the use of aluminate-based setting accelerators. The international trend is to ban the use of these additives because of the negative environmental implications and potential risks they may present to the workers, in favor of the alkali-free setting accelerators. The inertia of the Spanish construction sector to assume this change rate additive is due to several concurrent issues. First, alkali-free additives have a slightly higher cost. Also, higher contents of this accelerant are required to achieve equivalent performance in a given application. Finally, the performance of these aditives against water outcrop may be unsatisfactory. The ISS was developed considering this scenerio. In the case of raised study three different alternatives of evaluation were considered: the use of an aluminate-based setting accelerators at 3% concentration (ANaA-3%) and the use of an alkali-free setting accelerator at two different concentrations 6.5% and 8 % (AFA-6.5% and AFA-8%). One of the main results of the implementation of ISS is the realization that, based solely on economic requirements, the sustainability of the alternatives are not significantly, as shown in Figure. In this scenario, the use of aluminate-based setting accelerators is clearly favored by the shortsightedness that governs the construction processes in Spain. However, as environmental and social requirements have more weight in the decision, is clearly more sustainable the alternative considering the use of alkali-free setting accelerator at a concentration of 8% (see Figure). Thus, in order to change current consumption patterns of setting accelerator admixtures in Spain must go hand in hand with actions that raise the awareness at the environmental and social aspects. Furthermore, administrative policies are neede to promote these requirements in public works. The sensitivity study of the weights of the requirements has allowed to establish the importance of the weight of the environmental and social requirements, when working towards the highest sustainability of the alkali-free accelerators. This will permit the implementation of active policies that facilitate the introduction of this type of product in the Spanish market. The development of the ISS – made under the contract signed by Smart Engineering and BASF Construction Chemicals – was done with the participation of different Spanish stakeholders both public and private. ← How to priorise investments in hydraulic infrastructures?